Generally speaking, the north of Peru isn't as popular with tourist as it's south and the Departamento de Amazonas isn't as well known as the northern coastal towns, e.g. Mancora, or the deep jungle of Peru's north-east around the city of Iquitos. 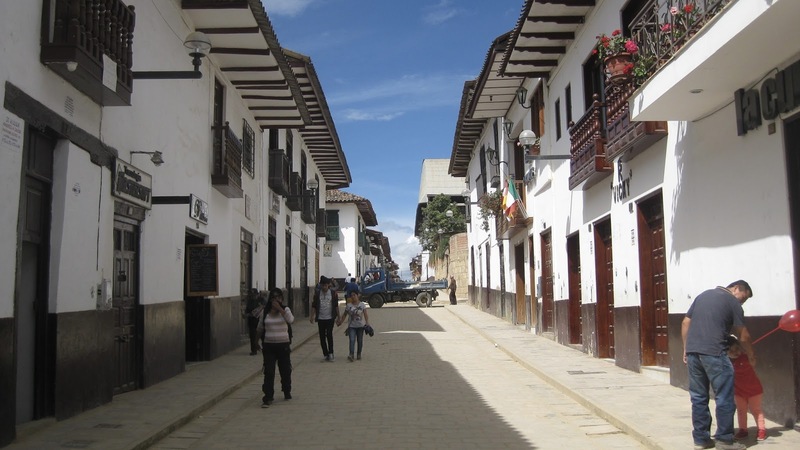 It isn't surprising then, that the capital of the Amazonas Department, the beautiful city of Chachapoyas, hasn't exactly been a tourist magnet in the past. With only approx. 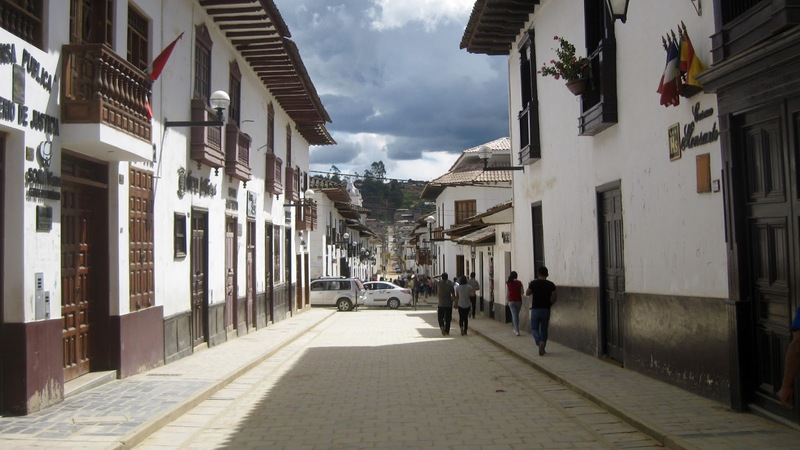 30'000 inhabitants, Chachapoyas is one of Peru's smallest capital cities in one of the poorer regions of the country. It has just recently began to gain popularity as a tourist destination, together with nearby Gocta Falls and the fortress of Kuelap. 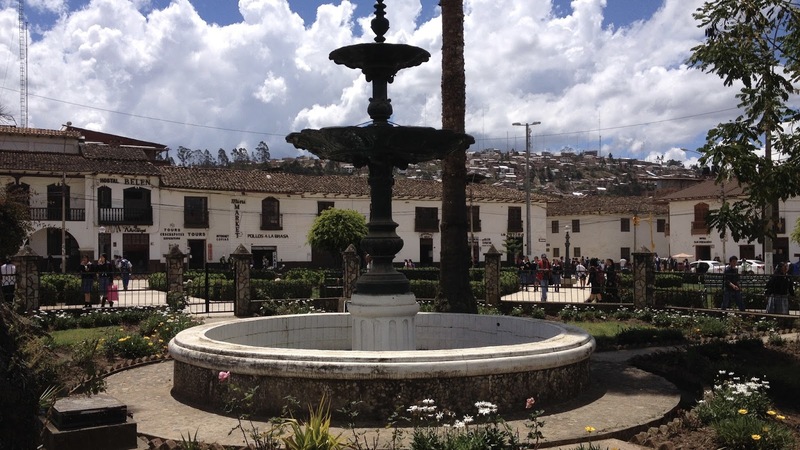 What makes Chachapoyas attractive for tourists (and especially independent travelers and travelers on a budget) is the perfect combination of charm and affordability. A lunch menu (usually includes starter, main dish, refreshment and small dessert) will cost about 6 Soles. The same menu in Lima would be well over 10 Soles. Also, you can get a decent room for 30-40 Soles a night and a nice room in a hotel like Casa Vieja for around 150 Soles per night. As for charm, let me explain. 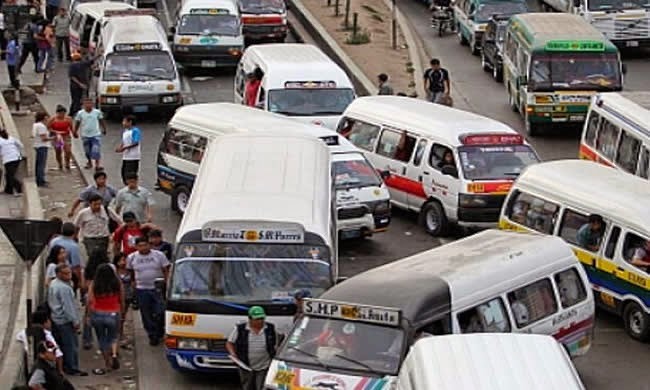 Many Peruvian cities suffer from "progress". 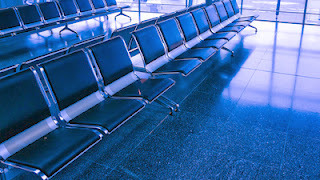 People have more money and are remodeling or rebuilding their houses. While this is understandable and even commendable in a way, it certainly doesn't always work for the best in terms of atmosphere. 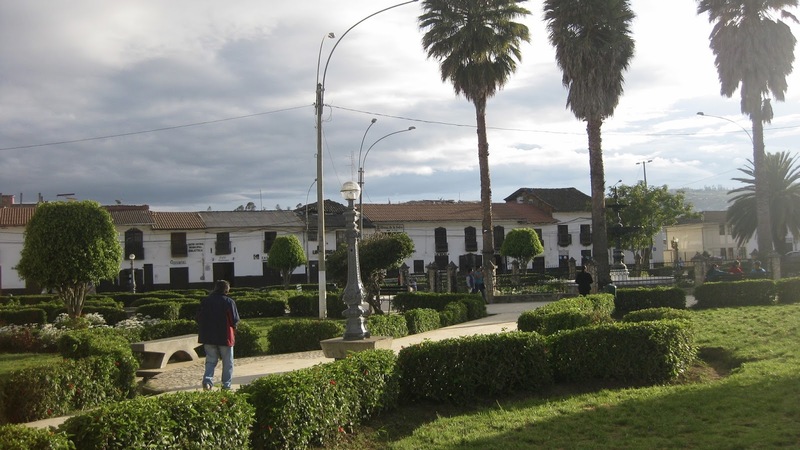 Abancay is one of the examples where the lack of a building code has allowed most of the historic (hispanic) centre of town was destroyed and replaced by "modern" buildings of cement and glass. In my opinion, it actually turned the city very ugly. In Chachapoyas this hasn't happened and hopefully won't ever happen. 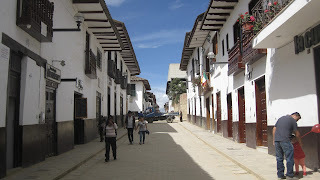 There is even a law that prohibits the destruction or drastic remodeling of the old houses of the center of town. This is why they all look the same: painted white with brown or black windows and doors and a brown or black base. Also, all the signs for shops and restaurants are in black writing only. No neon signs, no crazy colored houses. Plus, there is one street - Jirón Amazonas - that is reserved for pedestrians only. 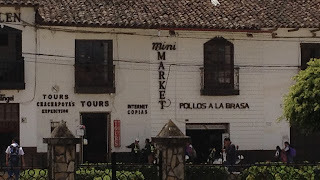 Obviously, the newer neighborhoods are as "modern" and mix-and-match as in any other Peruvian city. PS: If you are traveling through Chachapoyas I suggest you also check out Café Fusiones right in the main square. They have great organic café, food for vegetarians and vegans (a rarity in Peru) and delicious desserts.